Chinese Art has been pushing its way through Europe and America lately and many movements and talents are starting to emerge from it. 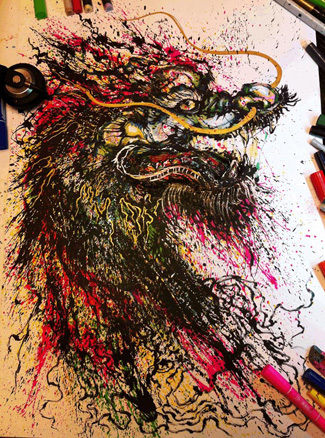 One of this very skilled and inspiring artists is Chen Yingjie (aka: Hua Tunan) who lives in the coastal city of Foshan, China. 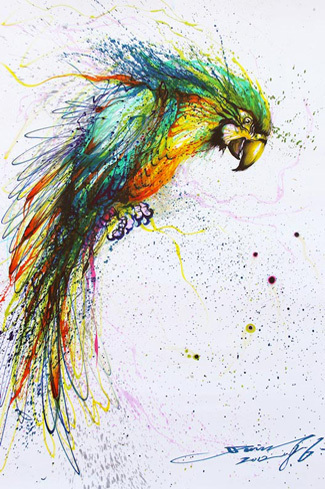 With a background of classical Chinese painting and illustration, Hua Tunan has diverged into a remarkable and unique street art style. His art is a perfect example where two radically different styles – Classic Chinese painting v. Western Graffiti are married to give eye watering results. 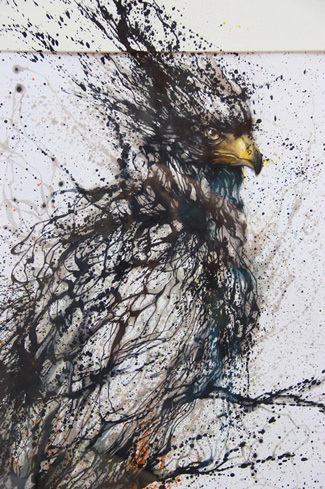 Hua Tunan would use ink painting, drum rhythms and a variety of cultural symbols. Pictures of the ‘splatter’ portraits series are shown below. 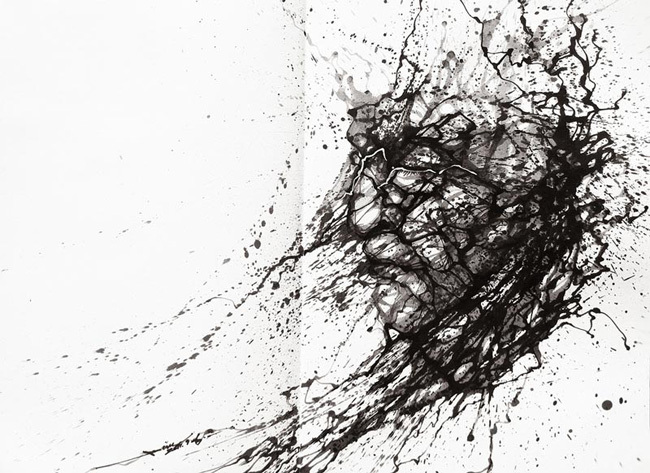 Look closer and what might appear as a splash to you actually reveal a face or shapes. 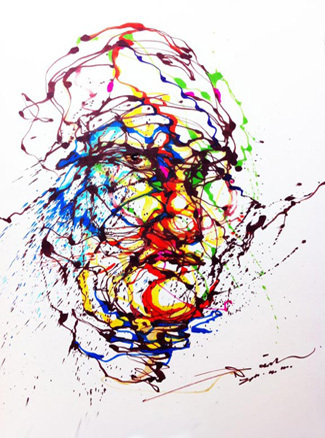 The color palette is another remarkable thing in Hua Tunan art. Thumbs up all round.